Hi guys! 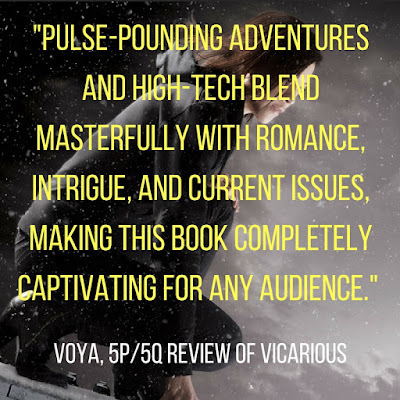 I've updated my discussion guide page to include non-spoilery questions for Vicarious. These are great for anyone reading the book for a book club or online read-along. I know I haven't been online too much, but I'll be back on Twitter and FB regularly in January or February. In the meantime, be sure to stop back by the blog because later this month I'll be running another Reviewer Appreciation Giveaway where you can score entry points for reviewing any of my books online. Then, in January, I'll be doing a giveaway for a signed copy of Kristen Simmons's Metaltown. Plus there will be exclusive holiday giveaways for my awesome newsletter subscribers. Join the mailing list here. 1. Vicarious takes place in a world where futuristic technology makes it possible for people to record their sensory experiences and share them with others. Maybe you’ve always wanted to go shark diving or bungee jumping, but you’re too scared or you can’t afford it. Maybe you want to snowboard but you don’t have time to take lessons. With Vicarious Sensory Experiences (ViSEs), people can experience not just the first-person visual of what these activities are like, but also the sounds, smells, and tactile sensations. It’s like Virtual Reality on steroids. Name one or two things you might like to experience via a ViSE recording. It doesn’t need to be an adventure sport. It could be something like walk along the Great Wall of China or go on a date with a celebrity. 2. Name one or two things you’ve done in the past that you might want to share with friends or strangers by making a ViSE. Again, it doesn’t have to be anything expensive or overly glamorous. Maybe you went sledding over Winter Break or saw one of your favorite bands perform live. 3. Who is the person you are closest to in the whole world? Why did you pick that person? 4. Do you think it’s okay to lie to people “for their own good?” Does it depend on the circumstances? Discuss why you feel the way you do. 5. What is your definition of family? 6. Winter exercises, perhaps obsessively, to calm her nerves. Is there anything that you do in order to calm yourself before a big test or a potentially scary task? 7. The author intended for the book’s setting to be an alternate present day, but a lot of readers assume the book takes place in the future. Can you find two examples that make the book feel futuristic? What about two examples that make the book feel like it’s taking place in the present? 8. Describe the phenomenon of overlay. Why does it affect some people more than others? 9. At one point Winter plays a ViSE of Rose winning a large amount of money in a casino and muses that her sister might have been making recordings that function like high-tech commercials. Do you think that would work? That is, do you think having a positive virtual experience would make people more likely to try to replicate the experience in real life? Why or why not? 10. What does Winter think is happening in the bathroom at Zoo before she and Jesse enter? What is actually happening? Why do you think Winter had preconceived notions about what goes on at Zoo? 11. There are definite privacy concerns when it comes to recording ViSEs, especially some of the ones that Rose records. Given that ViSEs are essentially recorded personal memories, do you think it should be okay to sell them or share them without the consent of other people who are part of the recording? Why or why not? 12. Do you see Winter as a strong character, weak character, or somewhere in between? Why do you feel the way you do? 13. Do you see Jesse as a strong character, weak character, or somewhere in between? Why do you feel the way you do? 14. Which characters in the book were the easiest for you to relate to? Which did you find to be the most likable? Explain why you feel the way you do. 15. How would you describe Jesse’s feelings for Winter? Gideon’s feelings? Sebastian’s feelings? Give examples from the text to back up your answers. 16. 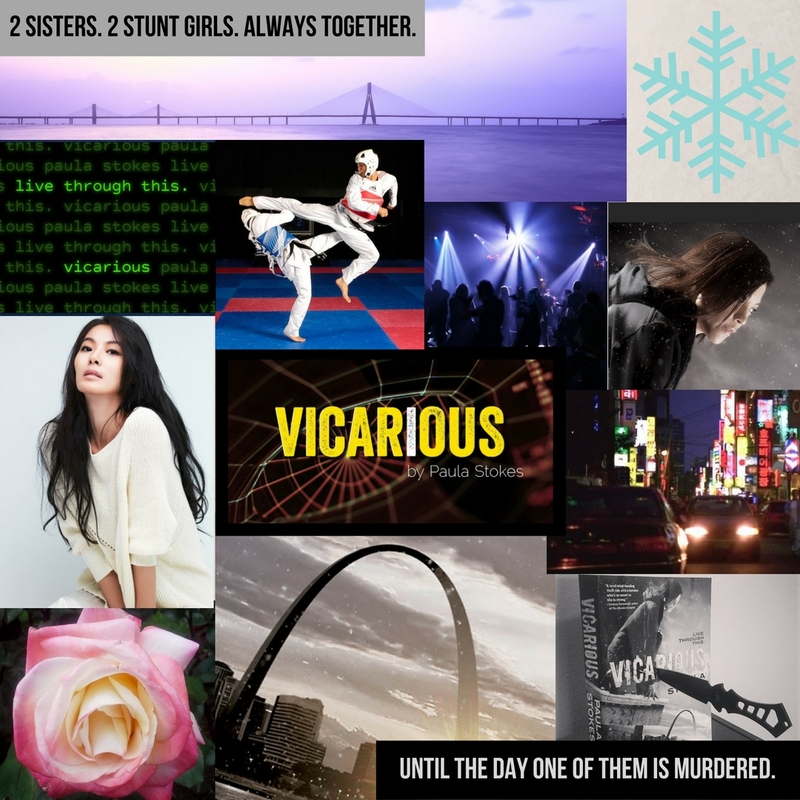 Almost all of the characters in Vicarious seem suspicious at one point or another in the book. Did you figure out who killed Rose before the answer was revealed? Discuss who your major suspects were and at which point in the novel you started to put the pieces together. 17. Who does Winter trust at the beginning of the book? Who does she trust at the end of the book? What things happened throughout the story that caused her to switch her allegiances? 18. Would you like a job recording ViSEs? Why or why not? 19. 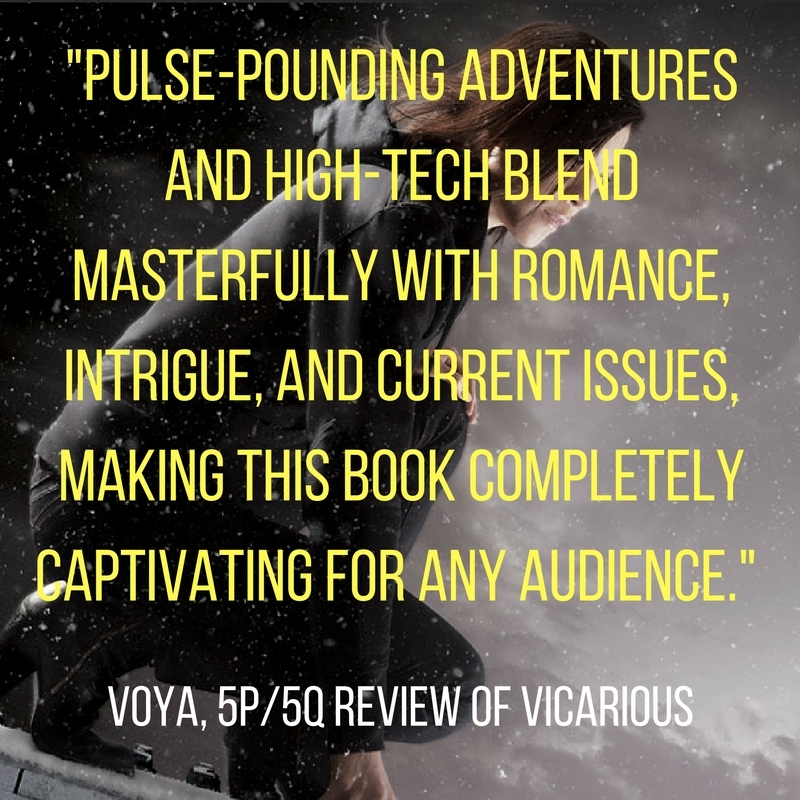 The author has mentioned that this book was inspired by her love of gritty, high-tech movies, including Inception and The Matrix. In The Matrix, main character Neo is offered a choice of two pills—the blue pill that will put him back into the false reality of the matrix, or the red pill that will allow him to see the world as it really is. He chooses the red pill, but is horrified by the truth. Winter isn’t given a choice, but like Neo she experiences a series of revelations and is also horrified by the truth. If you were her, would you want to know everything that she discovers in the last several chapters of the novel? Or would you prefer to be protected from the truth? Are there any scenarios in real life you can think of where you would definitely want to “take the blue pill” and be protected from reality? Explain your answer. 20. What do you think is going to happen in the second (and final) book of the Vicarious series? What questions do you have at the end of Book #1 that you still need to be answered?